Boots are to fall what sandals are to summer: a quintessential pairing. They’re flattering, functional, and—when properly styled—can punctuate practically any outfit. With a variety of styles to choose from, finding a pair you love isn’t nearly as tricky as figuring out what to wear them with. 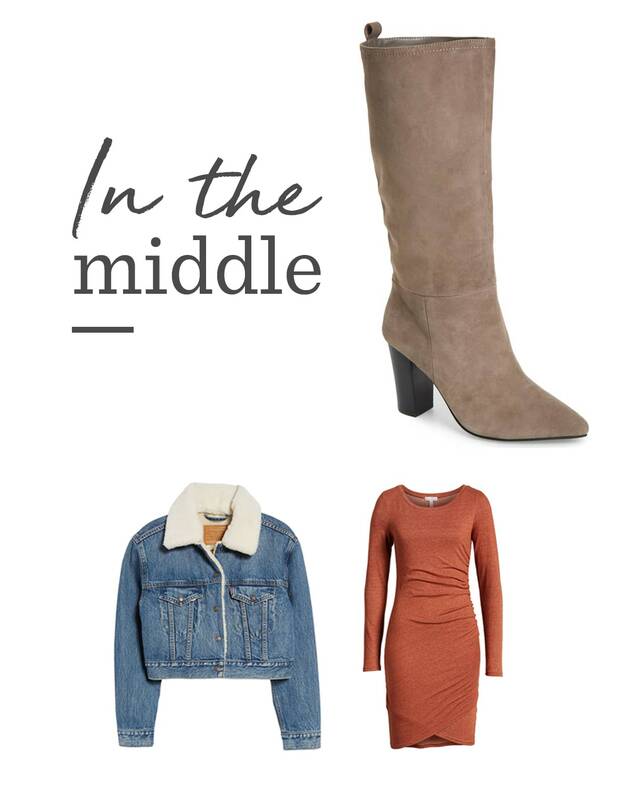 That’s why we’re breaking down the top four styles of fall boots (ankle, midi, knee-high, and over-the-knee) and offering ideas on how wear them. Since skinny jeans are a given, and we’re not about the obvious, we strayed away from this style of denim to give you some new and unexpected options. As the name would suggest, ankle boots are designed to graze either slightly above or directly at the ankle. Given its shorter silhouette, this type of boot is arguably the most versatile and looks great with almost anything—just as long as you pay attention to proportions. If you fancy a modern vibe, try pairing your ankle boots with slightly cropped or ankle-length pants to show just a sliver of skin, then top off with a cozy, figure-framing sweater to balance the look. Do opt for colored ankle-boots to create a bold contrast. Don’t be afraid to cuff your denim above the ankle. A classic in every sense of the word, midi boots are the happy medium between its short and tall counterparts. Most mid-rise boots feature a structured, boxy silhouette which make them appropriate for daytime wear—and a solid, stacked heel means wearing them all day is actually manageable. Not sure what else to wear this type of boot with, aside from jeans? Just remember the rule of midis: a mid-length skirt or dress paired with a mid-calf boot is a fool-proof combo that will always look good. Do invest in textured boots to elevate your look. Don’t forget that classic pieces are bold when paired together. 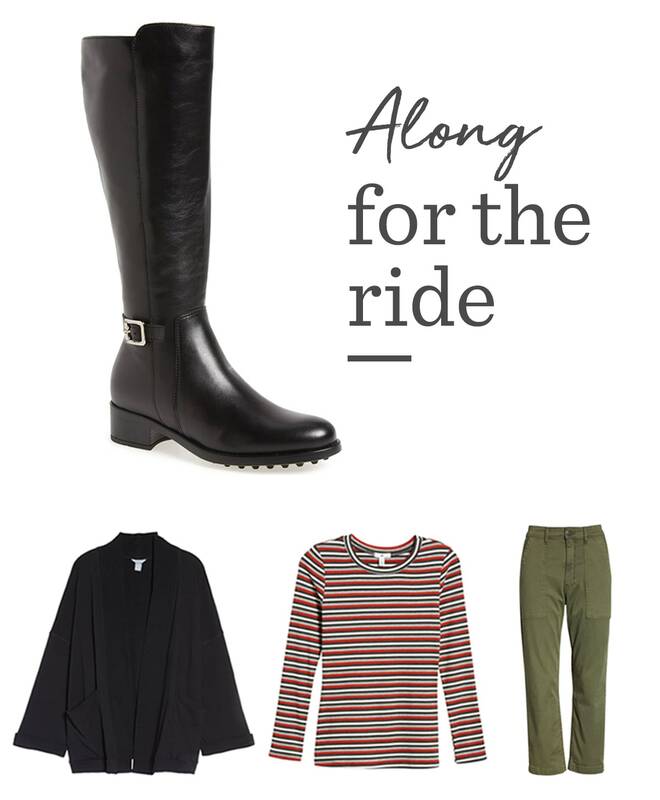 If you’re looking for an easy way to upgrade your casual wear for fall, nothing beats a quality pair of riding boots. With a knee-high rise and utilitarian design, style and function are combined to create a shoe that’s ideal for everything from visiting a pumpkin patch to meeting for a coffee date. For a casual day, style your pair with cropped chinos and a knit cardigan. Or, dress up your look with dark skinny pants and a tailored blazer for a timeless, equestrian-inspired outfit. Do use boots to extend cropped pants into fall. Don’t stuff baggy pants into your boots. There are few footwear options that are as fabulously dramatic as over-the-knee boots. We love anything that allows us to look like we put a lot more time and thought into getting dressed than we actually did. Due to their eye-catching silhouette, OTK boots may seem hard to style, but it’s quite the contrary. Because they do the bulk of the work for you, the trick is to keep the rest of your outfit simple. For a leg-lengthening look, try pairing your boots with leather leggings and a comfy cropped sweater. Do stick to classic, neutral shades like taupe, black, or gray. Don’t go overboard. Keep your outfit simple.